All gifts given to Cross International empower our Christian ministry to serve the poorest of the poor by channeling life-changing aid through an international network of church-based ministries and other faith-based Christian organizations already working in the areas of need. They cost-effectively bless the poor, help break the cycle of poverty, and advance Christian evangelization. 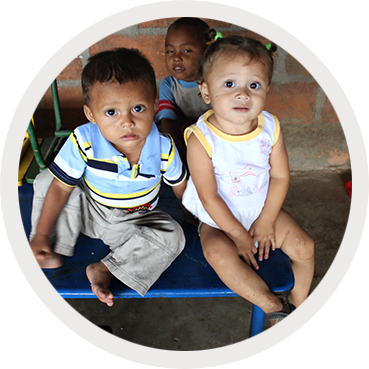 Monthly gifts are particularly important to Cross International and to the poor we serve because the dependability of those contributions allows us to have a greater impact, fund larger projects and serve with more flexibility. For example, monthly givers are the heroes behind the fast response of our first disaster relief efforts. Their gifts also allow us to handle the emergency needs that arise at orphanages, Christian clinics or church-run schools. For this reason, we ask everyone to start a monthly contribution – but we also understand that some may only be able to remain in the program for a time. Respecting this, we make it easy for you to end or suspend monthly giving at any time, at your preference. Cross Mission Partners are valued benefactors who believe so deeply in our work that they have decided to become monthly donors. Their recurring contributions supercharge our work and allow us to better share the Gospel. You can play a key role in supporting critical lifesaving ministries to the poorest of the poor by becoming a Cross Mission Partner today. Assurance your donation is put to work immediately and is ready to meet urgent needs. A convenient annual statement provided for tax purposes. Updates about the great things accomplished through your regular gifts. Less hassle – monthly donations are automatic when linked to your card or checking account. These dependable contributions allow us to have a greater impact, fund larger projects and serve with more flexibility.